Law firms have a clear need to implement standardized systems for organizing and retrieving documents while keeping sensitive data secure. Without standardized workflows, even small law firms can quickly run into major obstacles trying to control document versioning, indexing, and maintaining attorney-client confidentiality. Unlike startups and rough-and-ready entrepreneurs, New Mexico lawyers cannot operate on a document management infrastructure consisting of shared file drives and email. For law firms, investing in legal technology comes first – you can’t wait until the firm reaches maturity to implement best-in-class software and hardware solutions. The legal field is highly regulated, and it makes information-heavy demands on lawyers from day one. 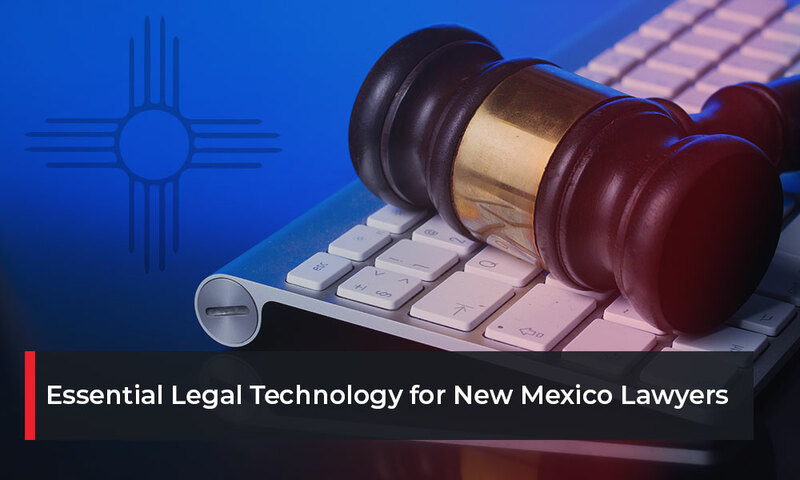 These demands come both from clients and from the legal system itself, so law firms in New Mexico need to have the appropriate IT infrastructure in place before opening their doors. Since lawyers and their assistants cannot rely on ad-hoc document management workflows, every law firm needs to invest in purpose-built software and hardware that meet regulatory guidelines. The decision of which technology solutions to invest in is a critical one for meeting future growth projections. Investing in a lean, minimal solution might seem like a good idea at first glance, but it can quickly get in the way of long-term growth. If your law office relies on manual labor to convert documents from paper to a digital format, production will bottleneck at every document capture touchpoint in your organization. Not only are manual processes slower than their automated counterparts, they are also far more error-prone. In other highly regulated fields such as finance, human error is the leading cause of data entry mistakes. For legal professionals, these errors can break legal cases down entirely. There are clear, well-known cases of $1-billion-dollar legal errors going unnoticed in major legal operations. When a lawyer has to admit “garbling the language” of a multi-billion-dollar litigation process, it becomes a prominent stain on the firm’s record. On the other hand, high quality process automation can be a powerful value driver for lawyers in New Mexico. A small law firm that has already invested in growth-oriented legal technology is able to manage growth without having to go to the costly and risky process of implementing new technological infrastructure while handling major cases and heavy workflows. Legal professionals need to invest in efficient process automation technology before they actually need to utilize that technology to its maximum extent. There is no practical, risk-free way to implement best-in-class technology only when you need it – you have to be prepared beforehand, or simply put in an enormous number of unbillable hours to handle peak periods and pay the cost. • Simplifies Document Retrieval. Lawyers need immediate access to the latest information about their clients and open cases. Retrieving documents that reflect the status of open cases has to be a quick, error-free process. • Improves Client Chargeback Accuracy. Client contracts may stipulate responsibility to pay for certain services, like printing or copying documents. But law firms don’t always charge their clients because they don’t track document processes accurately. • Reduces Overhead. Improper document management is expensive. Not only can errors lead to major costs, but hours spent looking for documents are non-billable. Process automation improves efficiency and reduces overhead. • Improves Data Security. Attorneys have a clear responsibility for protecting their clients’ sensitive data. Between rapidly industrializing cybercrime syndicate activities and the destructive potential of data disasters, legal professionals need to be prepared for a broad range of vulnerabilities. • Increases Integration. Every serious legal firm needs to implement a secure enterprise resource planning solution to effectively manage client cases and concerns. But not all document management platforms are compatible with enterprise resource planning technology. Legal firms need customized solutions that generate long-term value and reduce manual labor. Legal professionals and their teams should understand that hardware and software don’t provide value to legal firms on their own. It’s the underlying processes that deliver value. New Mexico lawyers that invest in managed IT services enjoy the ability to focus entirely on offering expert legal counsel to their clients without having to dedicated resources to maintaining complicated IT assets on their own. Find out how managed IT services can provide you with the most advanced legal technology available at a fixed ongoing rate. Talk to one of our experts today!